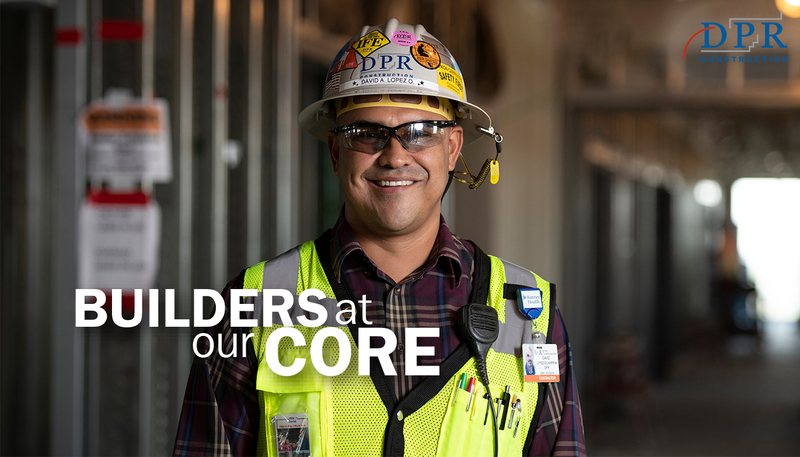 In 2010, David Lopez started his career at DPR in Phoenix, AZ as an apprentice, working as a laborer and operating an elevator for seven months. One day, he helped with layout and discovered his passion. He started reading plans and working on layout in the field full-time. 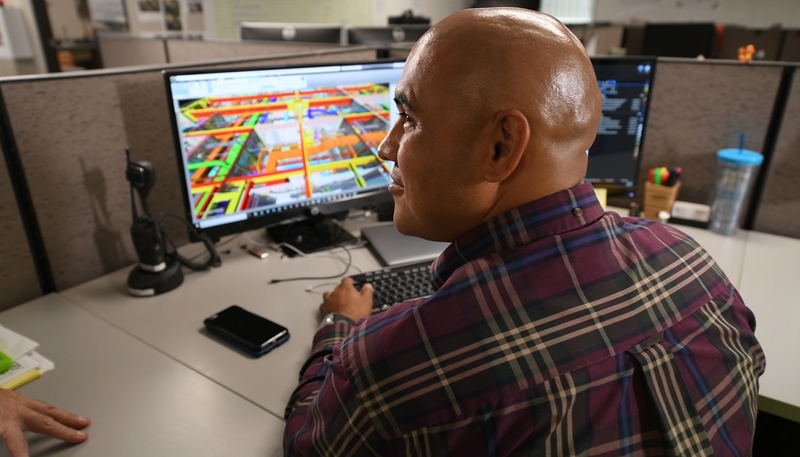 After honing his expertise in layout and continuously learning from mentors on his team, Lopez became a BIM engineer in 2015 and is now in training to become a project engineer. He mentors other DPR teammates in layout and is passionate about giving back to the community and sharing his knowledge, empowering others to grow in their careers, just as he has. Q: What do you love most about construction? Lopez: What I love most is the end-result. I’m proud of what we build. To this day, I take my kids and drive around to show them what buildings I’ve been a part of. I take pride in delivering a high-quality product to our owners. 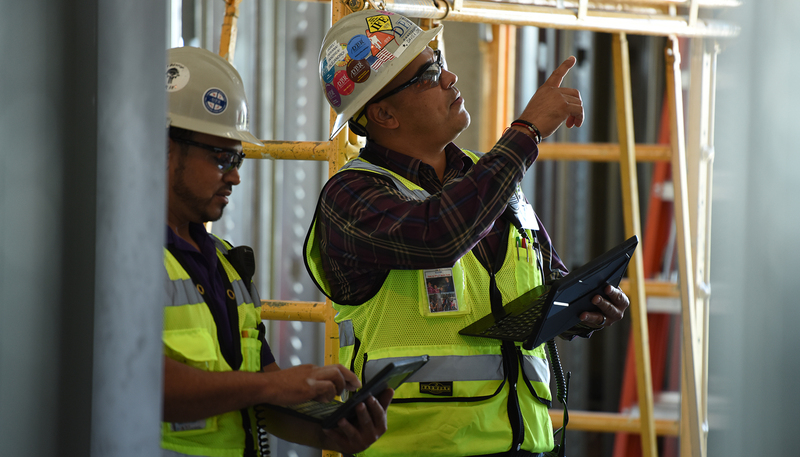 Q: Your career path is nontraditional—what made you pursue your career as a project engineer? Lopez: My motivation has always been that DPR gives you the opportunity to do what you really want to do. Why not give my family a better future? If I could become a project engineer, why not do it, if I have all the tools and support? Q: What’s your proudest moment at DPR? 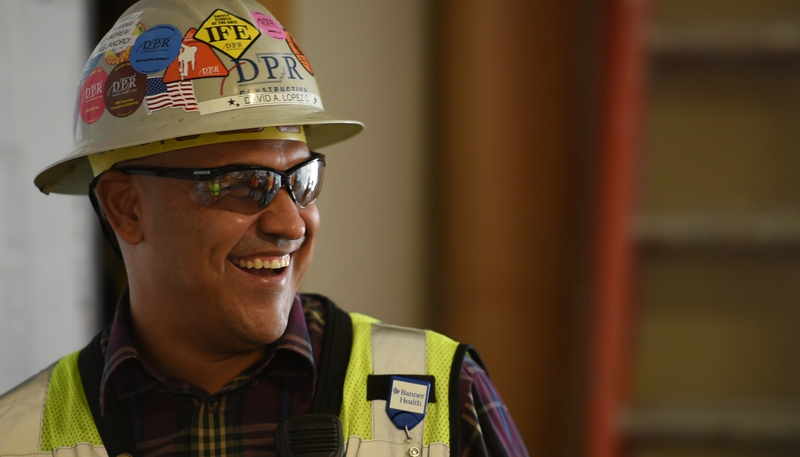 Lopez: When I graduated as a journeyman from the carpenters’ union, I was given the Golden Hammer award, meaning I was the best student out of the 2012 class. When I was an apprentice at DPR, I was already laying out, which was part of the final exam’s scope of work. One of the reasons they picked me was because DPR had already developed me into a journeyman; DPR had already given me all the tools and knowledge I needed to grow. Q: What’s the most complex or technically challenging thing you’ve ever worked on? Lopez: The project I’m currently on is Banner–University Medical Center Phoenix (BUMCP). It’s one of the biggest projects DPR has ever worked on in Arizona. Completing spool sheets and creating the model for BUMCP was both one of the biggest accomplishments and greatest challenges I’ve had here at DPR. My field experience helped me tremendously as I modeled every single floor, including every opening and penetration in the emergency department expansion and new patient tower. It made it easier for me to comprehend what’s going to be built out there in the field, and from there I developed my skills further. Q: What advice do you have for the next generation of builders? Lopez: In my mentoring classes, I tell people that school isn’t for everyone. If you want to go the construction craft route, there is the possibility of growing, and I’m the perfect proof of it. I’m doing it because I want to, because I had the motivation. Without my mentors at DPR, I wouldn’t be where I am right now. Q: Over the course of your career, what is the most important lesson you have learned? Lopez: Always share your knowledge. Never hold back. The more we teach people, the more we grow our industry, and the more we teach our DPR teams knowledge within the field, the better we will be. I wouldn’t have been able to become a BIM engineer or a project engineer without the support of my teammates, who always mentored and taught me. If someone wants to learn, don’t deny that opportunity. That’s how I got here.